CLICK on the Episode Name to play. For a successful entrepreneur like Joe Flanagan, investing in a professional outdoor lacrosse team in Chicago was a logical play with plenty of upside. 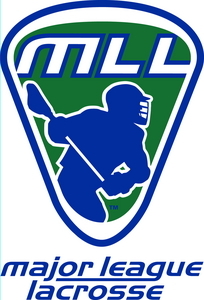 In this episode, Joe discusses the massive growth of lacrosse in the Midwest and across the country, the opportunities and challenges facing his team, and the momentum Major League Lacrosse is building nationwide. 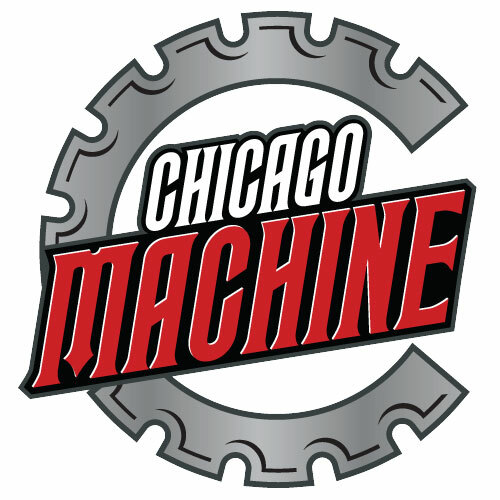 For more information on the Chicago Machine and their upcoming season, which begins May 18th, please click their logo below. 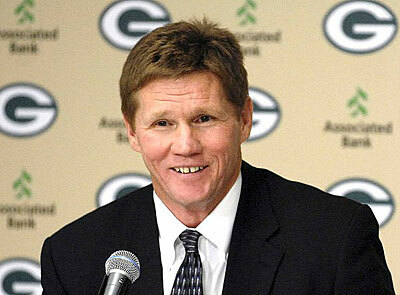 Brett Favre may have retired, but the Green Bay Packers are in good hands with new President and CEO Mark Murphy. In this episode, Mark shares with us his top priorities as the Packers's new leader, how he manages the unique fan-as-owner relationship in Green Bay, and the ways that he's positioning the team for future competitiveness and financial success. For more information on Mark and the Packers, please click here. In this episode, Ira Berkow, longtime New York Times sportswriter, prolific author, and Pulitzer Prize winner, talks with us about the past, present, and future of sports media. From his five decades of experience, we're reminded that although many things in the world of sports have changed, some have remained the same. He also discusses two of his newest book publications: Beyond the Dream: Occasional Heroes of Sports and The Corporal was a Pitcher: The Courageous Story of Lou Brissie. How's this for an innovation? 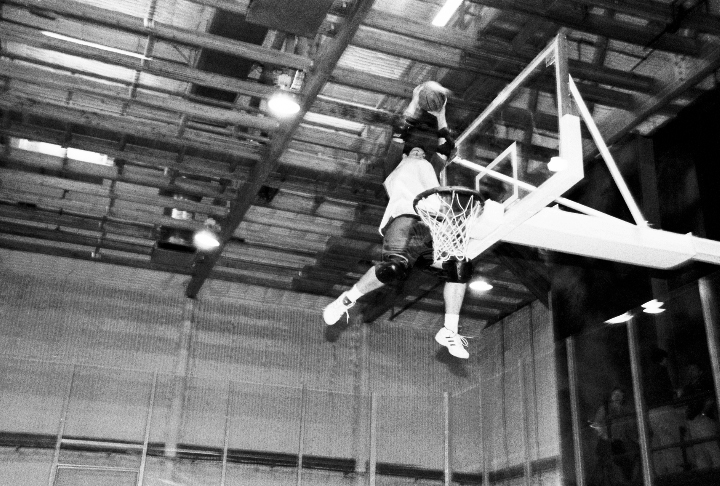 Let's combine basketball, hockey, and trampoline jumping to literally bring sports video games to life. That's the brilliant idea of SlamBall creator Mason Gordon, who joins us in this episode to discuss the inspirations behind his entrepreneurial efforts, the globalization of his sport, and how he plans to manage the growth of SlamBall well into the future. For more information about Slamball, please click here. While there have been many failed attempts to sell soccer to Americans in the era of industrialized sports, Major League Soccer (MLS), in its only 12 years of existence, has not only stabilized professional soccer in the U.S. but also positioned itself for future success. In this episode, Stuart Crystal talks to us about marketing the MLS and deals specifically with issues such as the "Beckham" rule, youth soccer participation, and Hispanic marketing. For more information on the MLS, please click here. Branding in sports is still a somewhat misunderstood and misapplied concept. In this episode, we address three myths of sports branding and discuss their corresponding realities. We also talk with Chris Lightfoot, Managing Director of Whitestone Sports, a UK-based consultancy with clients such as FIFA, the ATP, and the International Cricket Council. In addition to his perspectives on sports branding, he shares his specific experiences transforming FIFA into arguably the most powerful sports brand in the marketplace today. For more information on Chris and Whitestone Sports, please click here. In today's information economy, there are generally two problems with sports marketing research. One, the research questions and methodologies often do not yield accurate and reliable results. Two, the amount of available data is so overwhelming that it is difficult for managers to know where to look and what to do about it. This is not the case for TNS Sport. In this episode, we talk with industry leader Robert Fox about the widely-used and respected ESPN Sports Poll, which combines both methodological rigor and systematic analysis to help clients better understand The Elusive Fan. For more information on Rob and TNS Sport, please click the logo below. When the popularity of the World Series of Poker exploded earlier this decade, critics questioned the sport's (if they could even call it that) staying power. With the Series concluding recently its 38th year, there is little evidence that poker - at least the WSOP - is slowing. Much of its current prosperity and future promise is due to the work of Jeffrey Pollack, Commissioner of the World Series of Poker and Vice President of Sports and Entertainment Marketing for Harrah's Entertainment, who joins us on this week's show. For more information on the World Series of Poker, please click here. Importing NASCAR, a historically southern sport, into a midwestern market that is passionately loyal to its sports teams is no small task. But in the face of fierce competition, Matthew Alexander has been able to transform Chicago into a viable motor sports market, attracting annually tens of thousands of fans to weekend-long pilgrimages at his track for both his NASCAR and IndyCar events. On this week's show, we talk with Matt about the growth of motor sports in the Chicago area and the challenges and opportunities he faces going forward. For more information about Matt, the Chicagoland Speedway, and the Route 66 Raceway, please click the link below. 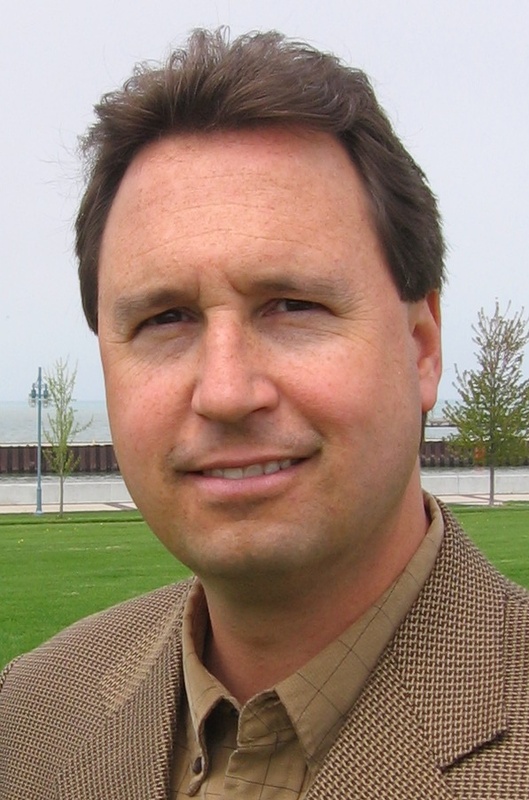 This week's show is an in-depth interview with Dr. Sam Fullerton, Professor of Marketing at Eastern Michigan University and author of the recently published book titled Sports Marketing (McGraw-Hill). Dr. Fullerton shares his insights on writing the book, discusses several best practice case studies, offers his advice to those entering or already in the field, and forecasts the future of the sports marketing discipline. For more information on Dr. Fullerton and his book, please click the links below. It's our 25th episode here at The Elusive Fan Podcast, and we thought we'd celebrate by bestowing the inaugural The Elusive Fan Super Fan Award on one of the most avid sports fans in the world. His name is Josh Wimberley, and he's not only a devoted supporter of his favorite teams but has also written a book on how to get on the big screen at sporting events. Watch out for Josh's "The Blender" at an event near you. On this week's show, we discuss the rapidly emerging fantasy sports industry and the specific set of opportunities and challenges it faces. As one of the industry pioneers, Jeff shares his valuable insights on the future of fantasy and the ways that fantasy companies, major brands, and mainstrream media can work together to grow the industry. For more information on the FSTA and SportsBuff.com, please click the links below. Minor league baseball is starting to do major league numbers. In 2006, a record 42 million people attended games throughout the country, and this year, minor league clubs drew 6 million fans in the month of April alone, breaking a 106-year-old record. A driving force behind this resurgence is the work of Jason Klein and Casey White, who are the co-founders of Plan B. Branding, a company focused exclusively on transforming major and minor league ball clubs by emphasizing storytelling and place connections. For more information on Plan B. Branding, please click the logo below. 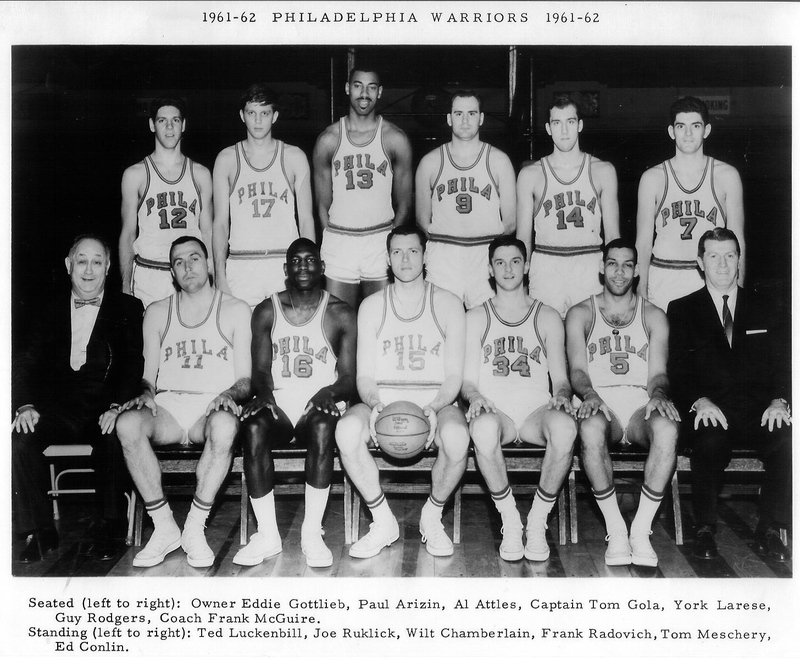 Joe Ruklick (#17 below) played in the National Basketball Association as a member of the Philadelphia Warriors from 1959 to 1962. He was the team's backup center to Wilt "the Stilt" Chamberlain and assisted Wilt on his 99th and 100th points during the legendary March 2, 1962 game in Hershey, Pennsylvania. On today's show, Joe joins us to talk about his experiences with Wilt - both good and bad - and the NBA's marketing strategies during its early years. Matt joins us for a special on-location podcast from the SEME Central conference at the Kellogg School of Management in Evanston, IL. Aimed at helping people break into the sports industry, SEME creates a forum for discussion of cutting-edge ideas and offers many opportunities for networking with leading decision makers in the field. For more information on SEME and its upcoming conferences, which include Beijing in 2008, please click the logo below. Rob discusses his company's "NanoGaming" two-screen technology, which allows sports fans to interact with any play at any moment in any sporting event. It's innovative, fun, and meets the expectations of a marketplace that has become accustomed to American Idol, YouTube, MySpace, Second Life, World of Warcraft, and other interactive and community-based entertainment experiences. For more information on Rob and his company, please click the logo below. Do you ever wonder why movie stars use certain sports brands in their films? John Meindl is most likely the reason. In this episode, John discusses sports product placement - a concept he created - and how he and his company are expanding to capitalize on the increasingly blurred line between sports and entertainment. For more information on SPORTSBRANDEDMEDIA and Sports Babes, for which John serves as producer, please click the links below. Lacrosse is America's fastest growing sport, and it's emerged as a fierce competitor for participants and eyeballs in today's crowded marketplace. In this week's episode, David Gross, Commissioner of Major League Lacrosse (MLL), discusses how he's transforming the sport into a national entertainment that is capturing The Elusive Fan, one by one. In the 1940s and 1950s, the United States Military was a hothouse of athletic talent and competition. Joining us for a discussion of this rich, yet underappreciated era in sports history is Mickey Bearman, a former University of Minnesota and Navy basketball star. In this episode, you'll hear the stories and insights of a 6'2" sharpshooter who averaged 23 points per game as a forward in the Navy and played against some of the best basketball players ever to step onto the court. Peter Capolino, president of Mitchell & Ness Nostalgia Company, discusses how his vintage sports apparel brand redefined the relationship between sports history and popular culture. He offers his perspective on why M&N has been successful and let's us in on what's next for the company, including the release of a special edition Michael Jordan authentic jersey series. On this week's show, Bob Wetoska, starting Right Tackle for the 1963 NFL Champion Chicago Bears, joins us to talk about this legendary game against the New York Giants, playing football in Wrigley Field, and the NFL marketing and communication differences between 1963 and today. 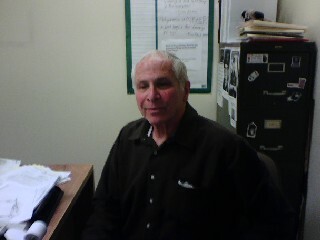 A biography of this week's guest begins with: "Ask yourself these questions: Can you name a bohemian who's been chosen man of the year by the Italian-American Sports Hall of Fame? Can you name anyone who's done the Roller Derby, and worked as a ring announcer for the World Wrestling Federation while winning a Peter Lisagor award in 1999 for journalistic excellence?" 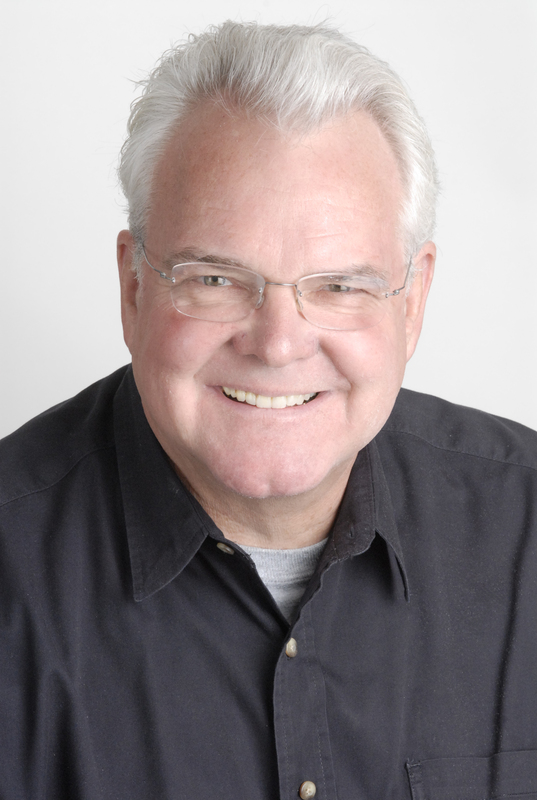 If you don't already know the answer, after this podcast, you will: Chet Coppock. Episode 12: UEFA - The Branding Champions? Dr. Simon Chadwick, director of the Birkbeck Sport Business Centre in London, joins us to analyze the Union of European Football Associations' Champions League brand. 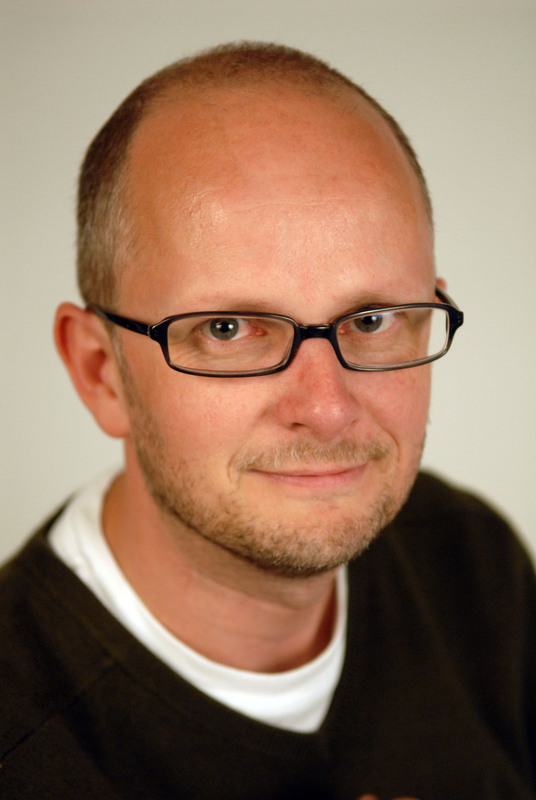 Listen as Simon offers detailed insights on the tournament's history, UEFA's brand management strategies, and, of course, who this year's winner will be. Also, please be sure to check out the Sport Business Centre at http://www.sportbusinesscentre.com/. Why is the NFL America's most popular sport? Mark Yost has some answers. In his new book, Tailgating, Sacks, and Salary Caps: How the NFL Became the Most Successful Sports League in History, Mark examines the NFL's transformation into a world-class company and discusses the many drivers that contributed to its supersonic growth. On this week's show, he joins us to analyze the NFL's dominating role in American popular culture and offers many interesting insights on the league that has become a benchmark for sports marketing and communication. For more information on his book, please click here. From the US to the UK to Australia, academic interest in sports marketing and management is exploding. A leading figure in this worldwide movement is Dr. Simon Chadwick, Director of the Birkbeck Sport Business Centre at the University of London, who joins us for a discussion of the Centre, his two new books - The Marketing of Sport and Marketing and Football - and the future of the global sports industry. For more information on Birkbeck and Dr. Chadwick, click here. There have been several failed attempts in modern sports history to market football during the NFL offseason, with the USFL and XFL the most infamous examples. The success of the Arena Football League (AFL) over the last decade, however, has proven that the concept can work if it's accompanied with effective marketing and communication strategies. In this episode, Mike Alzamora, Vice President of Communications for the AFL's Chicago Rush, joins us to talk about the challenges and opportunities he and the Rush face in the Chicago sports market. The NFL's transformation into a $6 billion a year in revenue league had to start with someone. This week's show is dedicated to Pete Rozelle, the commissioner of the NFL from 1960-1989, who is largely credited with turning professional football into what it is today. To help place Rozelle's impact into perspective, Jeff Davis, author of Papa Bear: The Life and Legacy of George Halas and the forthcoming Rozelle, joins us for some great stories and good laughs. Sports fans now have unprecedented access to their favorite leagues, teams, and stars and can interact with them on multiple new media platforms. This week's guest, Dan Migala, publisher of the Migala Report, joins us to talk about interactive sports marketing strategies and the challenges and opportunities facing all sports properties in the digital age. 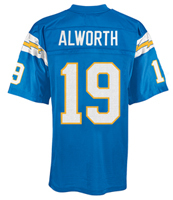 There are lots of examples of bad sports brands. Here is an arbitrary list of ten. In this follow-up to the Top 10 Best Sports Brands, Professor Irving Rein joins us to analyze and debate the terrible ten and also adds some other examples to the mix. With this list, we are guaranteeing you won't agree, so when you're done listening, post your own list of the top 10 worst sports brands on our blog at http://www.theelusivefan.com/serendipity/index.php. Fantasy sports have transformed from an amateur hobby into a billion- dollar business. In this episode, we discuss the earliest fantasy sports leagues and the current state of this exploding industry. 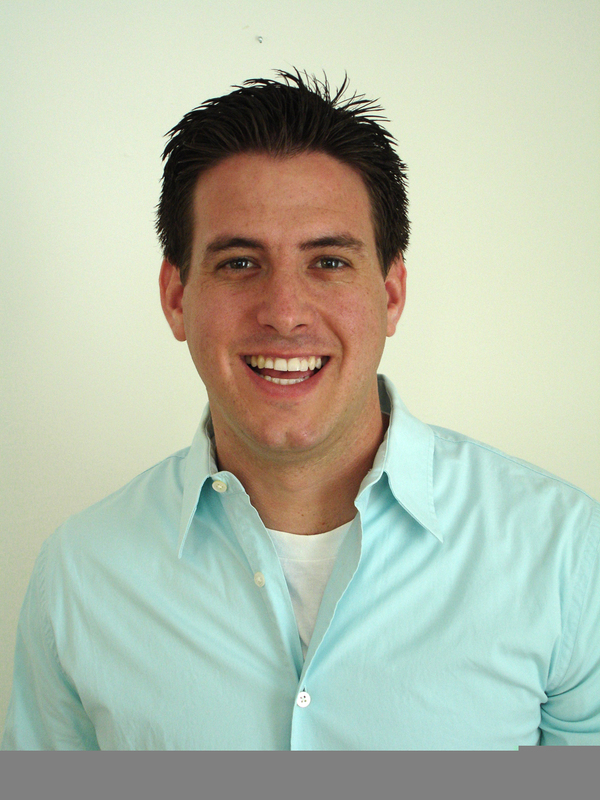 Joining us will be Adam Grossman, the Commissioner of CRAS fantasy football league, whose commentary demonstrates that fantasy football is not only a game but also a powerful social connector and, for some competitors, a forum to release pent-up competitive angst. A look at the importance of "thrill" in sports marketing. 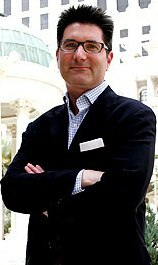 Our industry guest is Jeff Zaltman, Founder and Managing Director of Aero-GP, a brand new plane racing motorsport. More information about Aero-GP can be found at www.aero-gp.com. We'll also talk to our Elusive Fan of the Week, Shane Fleeger, a 39-year-old from California, who is a snowboarder, skydiver, and ocean kayaker and could be called "the consummate thrill-seeker." Whatever happened to boxing? This week we discuss how boxing went from a major American sport to a niche sport that only attracts attention when star boxers fight. Special guest Joe Rein, former executive sports editor of the Chicago Daily News, the universally missed Windy City daily, offers priceless stories about boxing's finest and darkest moments in a rare public appearance. The Elusive Fan of the Week is 36-year-old Heather Deicicchi, who tells us how she recently connected with boxing. not-so-predictable list. We also talk with Jeff Bail, Chief Marketing Officer of North American Events Group and sports marketing professor at Northwestern University, who offers some tips on getting into the sports industry, and hear from 13-year-old Tim Howe, The Elusive Fan of the Week, whose favorite sport may surprise you. Episode 1: Who is The Elusive Fan? In our inaugural episode, we look at the issues that define The Elusive Fan. 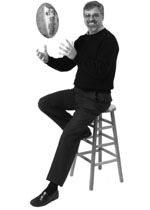 Our guest is Irving Rein, Professor of Communication Studies at Northwestern University and one of my coauthors on The Elusive Fan: Reinventing Sports in a Crowded Marketplace. The Elusive Fan of the Week is 24-year-old Michael Trudell, who has a peculiar affinity for the NBA.